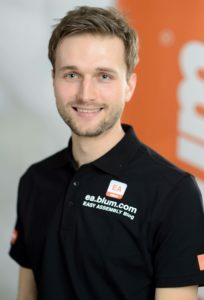 Up u ntil recently, there were two opening support system options for handle-less fronts at Blum: mechanical with TIP-ON and electromechanical with SERVO-DRIVE. 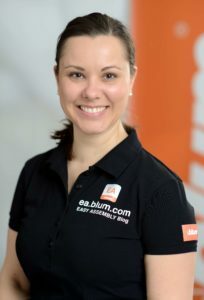 The electromechanical opening support system has always worked in combination with BLUMOTION dampening, but now we have combined the TIP-ON function with BLUMOTION dampening too. A simple touch on the front is, as you are used to with TIP-ON, all that is needed to activate TIP-ON BLUMOTION. 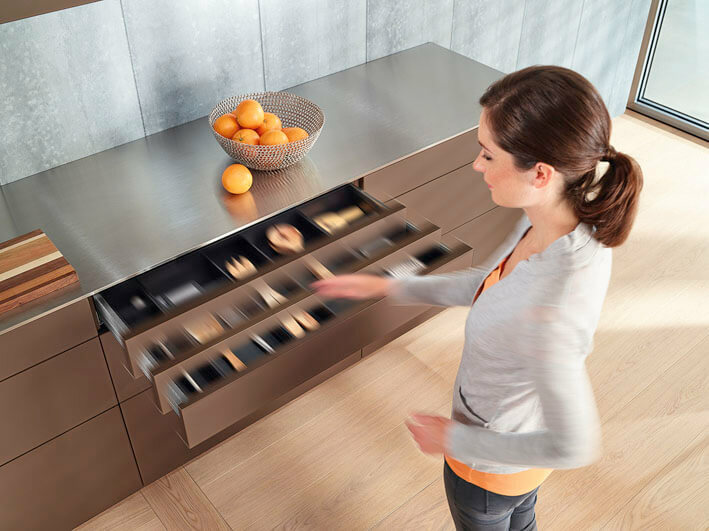 The BLUMOTION now activates when closing the drawer or the pull-out, ensuring a silent and effortless closing action. For the BLUMOTION function to achieve optimum functioning, the pull-outs should be loaded. The BLUMOTION does work when these are unloaded as well, but more energy (force) is required for closure. The settings have been designed for the weight of a loaded pull-out, as is usually the case in actual living areas. TIP-ON BLUMOTION can be used with LEGRABOX, TANDEMBOX and MOVENTO. Assembly is simple and tool-free. No other processing steps are necessary for the cabinet, front and drawer box. With a minimum front gap of just 2.5 millimetres, TIP-ON BLUMOTION is ideal for use in kitchens, but can also be used in all other living areas. Should the pull-out or drawer ever be pulled open or pushed closed manually, TIP-ON BLUMOTION will still remain fully functional at all times. I need help figuring out which hardware I need. Is there someone I can speak to directly? thank you for your comment. We are sorry that you have some problems with our products. From your description it sounds like you may have the wrong TIP-ON BLUMOTION unit installed in your cabinet, one that stronger than needed. You can find further information on our homepage as to which unit you need. Please note which box system product you have installed as the TIP-ON units vary from one system to the other. When you need any further help please don’t hesitate to come back to me. Make sure to mention which country you reside in so we can be sure you are connected to the correct customer service.